Nitrate is the end product of nitrification in the aquarium. The nitrate molecule is composed of one nitrogen atom and three oxygen atoms (NO3). Fish and animals excrete waste in the form of ammonia (NH3) which is toxic to marine organisms. This is broken down to nitrite (NO2) by aerobic bacteria. Nitrite can be toxic to aquatic life depending on the pH of the water. The final stage of nitrification occurs when another species of aerobic bacteria break down the nitrite molecule into nitrate. We test for nitrate levels in the aquarium to determine the nutrient level of the water. Are goal is to keep the nitrate level as low as possible. In fish only systems nitrates should not be allowed to exceed 60 parts per million (ppm). The affects of high nitrate levels on fish may include, nervous behavior, pale color, rapid respiration, lateral line disease and overall poor health. Reef aquariums with high intensity lighting and increased levels of nitrates provide ideal conditions for nuisance algae to grow. Algae use nitrate as a food source and if they are allowed to grow unchecked they will out compete other species of marine life for space and eventually smother coral in the tank. Therefore it is recommended to keep nitrate levels in reef aquariums at less than 5.0 ppm. Corals may also uptake nitrate as a food source so small amounts at near undetectable levels are acceptable as long as unwanted algae growth is controlled. 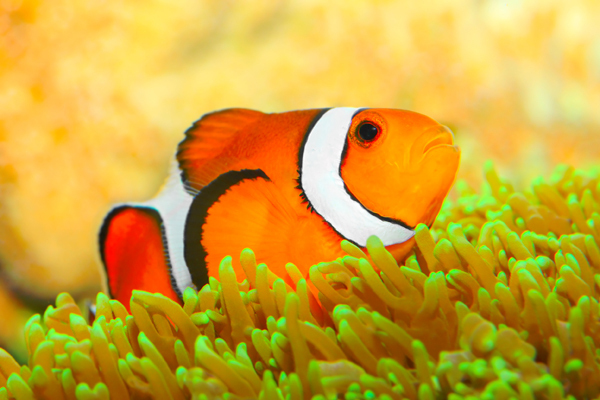 Fortunately there are a number of techniques and practices we can use to properly maintain nitrate levels and provide a healthy environment for the animals in our aquariums. Each of these fit into one of the following three categories: nutrient input, nutrient export and nitrate reduction. 1. Maintain a low bio-load by limiting the number and size of the fish in the aquarium. 2. Do not overfeed your fish. 3. Target feed corals versus broadcast feeding large amounts food. 1. Use a properly sized protein skimmer to remove excess nutrients before they decompose. 2. Complete at least one 20% water change per month or more if necessary. 3. Ensure an adequate flow rate to keep food suspended until it is eaten or removed by the protein skimmer. 1. Utilize algae turf scrubbers that use nitrates as a food source. 2. Increase the biological filtration capacity of your system with more live rock, a deeper sand bed or a refugium. 3. Install a denitrifying filter or carbon dose to culture bacteria that consume nitrates. If you use the recommendations listed above it is possible to achieve near zero levels of nitrate in your aquarium. If you are not familiar with some of these ideas please visit the store for further discussion.